The Tsleil-Waututh Nation in B.C. and the Tulalip Tribes in Washington are supporting the Lummi Nation's call for more investigation into the environmental impact before any new container traffic is allowed. 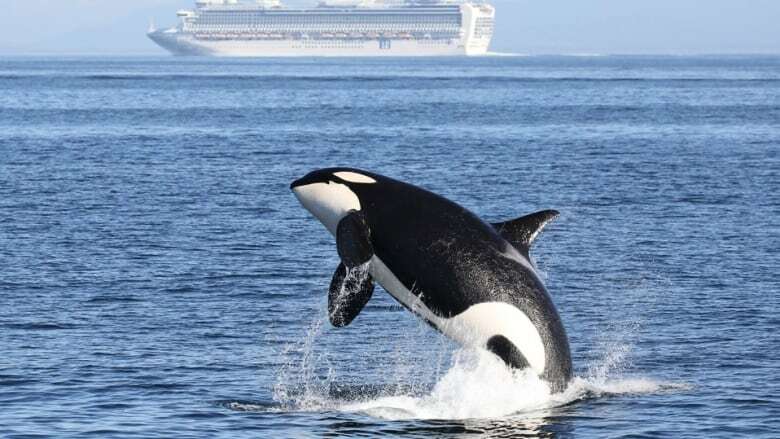 The Lummi Nation is calling for a moratorium on additional ships entering the port at Delta, B.C., out of concern for marine life in the Salish Sea. The Vancouver Port Authority wants to expand the facility but a B.C. First Nation is backing the Lummi Nation — located west of Bellingham, Wash. — in making it clear they are not on board with the project. "We're Coast Salish nations that have come together from both sides of the border with the United States and Canada to address this urgent issue that's happening to our Salish Sea," said Raynell Morris of the Lummi Nation. Other Indigenous groups in Canada and the United States, like the Tsleil-Waututh Nation in B.C. and the Tulalip Tribes in Washington, are supporting the call for more investigation into the environmental impacts before any new container traffic is allowed. "I heard personal stories of fishermen being out on the water and they could see a black soot coming across [the water] to their traditional territory," said Rueben George, manager of the Tsleil-Waututh First Nation's Sacred Trust. George emphasized that international borders don't matter when it comes protecting the environment and the Lummi and Tsleil-Waututh nations are united on the issue. "Of course, we're going to be allied together," he told Stephen Quinn, the host of CBC's The Early Edition. "This is not a First Nation problem, this isn't an environmental person's problem — this is everybody's problem." George said the Lummi Nation is confident in its ability to protect its traditional land and waters, and pointed to the "really strong treaty rights" backing it up. "[They're] recognized nationally as a powerhouse on indigenous rights,' he said. "What happens far too often in situations like this is that [project developers] don't recognize the rights of First Nations and so they keep having to go back to the drawing board." The port authority's proposal to expand the Roberts Bank facility includes building a new marine container terminal that could handle three container ships at once to meet growing demand for all types of shipping. The project is in the middle of an environmental review by the Canadian Environmental Assessment Agency. "The way that environmental assessment methodology works is you look at the impact of a particular project and if there are residual impacts after mitigation, then you have to look at the cumulative effects," he said.